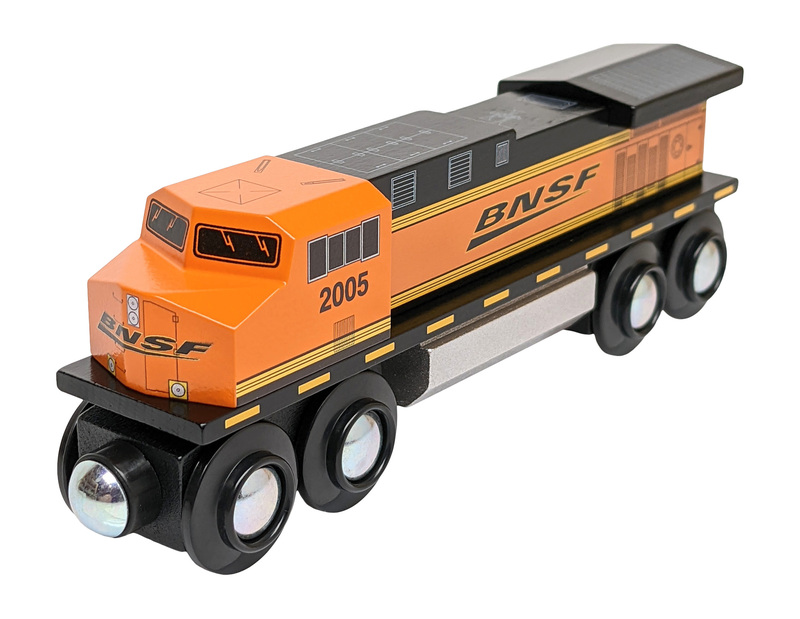 This BNSF 3 pc. set is a total of 16" long. 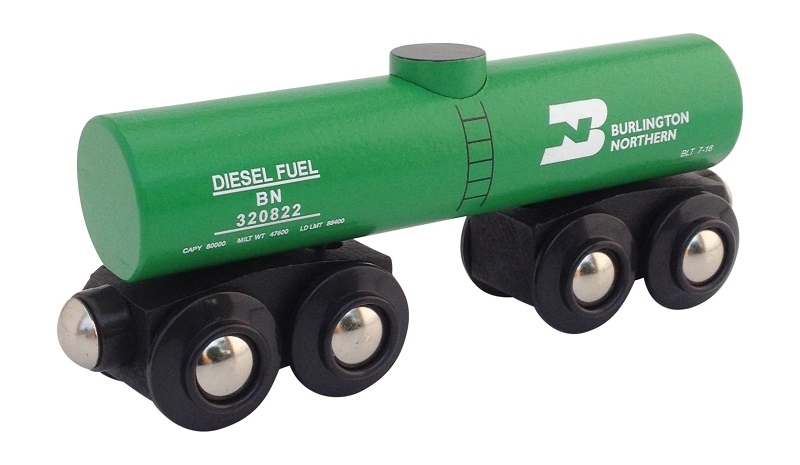 Consisting of a diesel locomotive which is modeled after the C44's, Dash 8's, Dash 9's, ES44AC's engines, a Burlington Northern tank car and a Santa Fe boxcar. Rolls up and down wooden track hills and around tight curves. 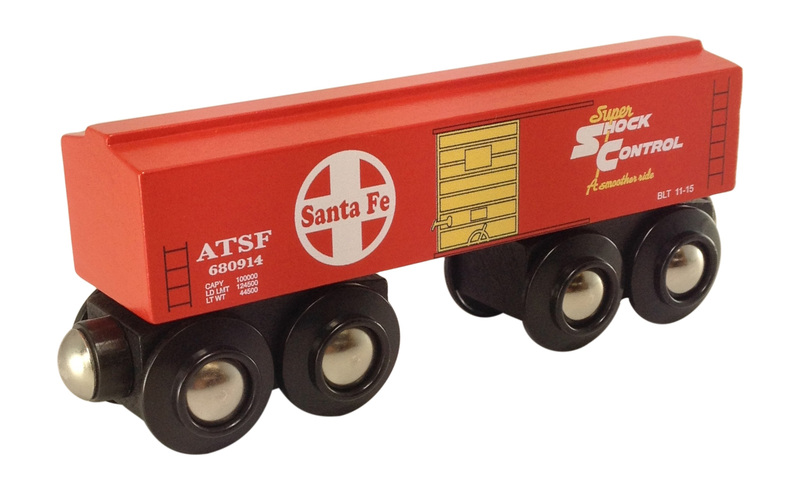 The quality of these wooden trains are of the highest standards.